It's nice to see a review of Galaxy Union done by somebody that does that on a daily basis. For it to be a 20min video is also somewhat satisfying. You can watch the review on youtube Youtu.be There is not much more for me to say, I hope you like what you hear and see, thanks James. whats the differense between this and universe sandbox? 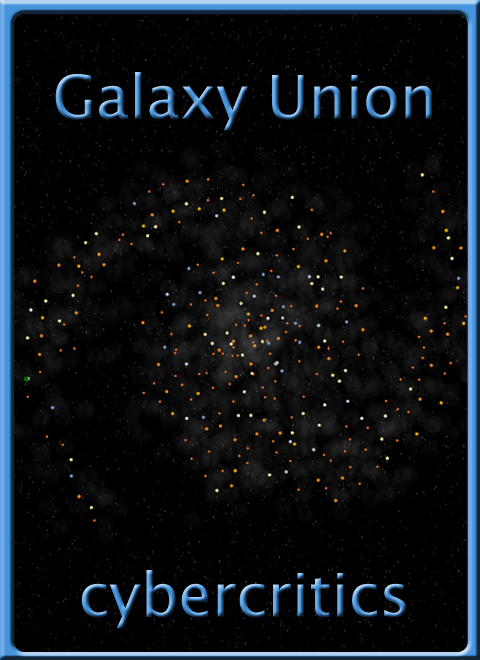 "Galaxy Union places you in a densely populated galaxy as a CEO of a corporation with a mission to unite the galaxy under your rule. Colonize systems, build colonies, research stations, become rich and commission fleets that will conquer the galaxy." "This is a turn based 4x game" Does Universe Sandbox let you build space stations? I have no idea what i'm doing, i kind of feel ripped off but thats only because there is almost no tutroial at all, the game just starts with no main menu and puts you right in the middle of it. And there is little clue as to what i am meant to do. I feel a tutorial would be much appreciated. The game seems to be oriented towards the hardcode. I didn't seem to realise it when I making it. Sorry. Seems to be a pretty game to pass your holliday's on. Following this with much interest. Is there not any kind of documentation? I have no clue where to start with this thing. Unfortunately there is no manual at this stage. Not sure how familiar you are with 4x games, you start in your system and build it up, then expand and then engage in conquest. To get you started, double click your starting system, it is the one with a green marker pointing to it. Once in system view, click on a planet with the marker, from there you can build buildings, set production and upgrade buildings by right clicking on an empty/full building slot. I'm not a fan of double clicking in games. Would you consider adding an alternative way of doing this? It's a major logic change and I'm not prepared to do that. Bought it--the interface is very basic, but the ideas are amazing. Definitely an economic-oriented simulation with a galactic market for all resources (including military).